Bolder Design Studio | Collier Gobel Homann, LLC. 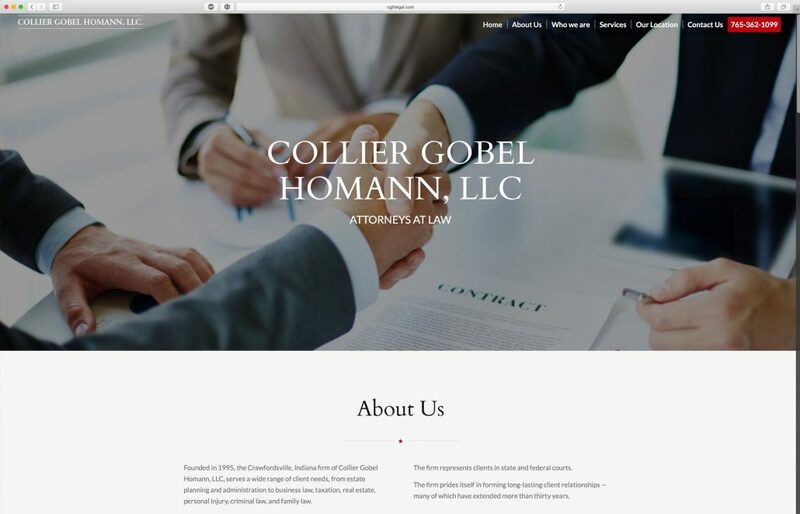 After a switch-up in partnerships and the addition of a new attorney, The Law Office of Collier Gobel Homann, LLC., located in Crawfordsville, Indiana felt it was time to finally promote themselves with a simple, easy to use website. We provided this “one-Page” responsive solution, offering an easy to use, and quick to digest website.